Its official! Google has finally unveiled the Pixel devices during its launch on Tuesday after weeks of rumours and leaks. As most of the rumours suggests, the Pixel 3 comes with slim bezels at the button and top (though the bezels are still big compared to the Samsung Galaxy Note 9). The Pixel 3 XL however, has a different look. The device comes with a notch... yes, i said a notch and a trimmed bezels. Lets look at the specifications of both the Pixel 3 and Pixel 3 XL. The Google Pixel 3 XL carries a larger battery and display bigger than the Pixel 3. Though that doesn't mean that the Pixel 3 is a lesser phone. From the specs above, the Pixel 3 carries the same camera, same Snapdragon 845 chipset, wireless charging and does offer the same experience as it is on the bigger Pixel XL. This years Pixel devices are bigger than last years model. The Pixel 3 comes with a 5.5-inch display while the Pixel 3 XL comes with a 6.3-inch display. Google's focus on its Pixel devices have always been the cameras. This years device comes with two front-facing selfie cameras to deliver the perfect group selfie. The camera delivers wide and regular selfies. The Google devices will run on Android 9 Pie to give users the best Android experience. There is also a gesture capability on the Pixel devices. Google has promised that the Pixel 3 and Pixel 3 XL will receive software updates for at least three years. Those interested in the Pixel phones should expect update till 2021, maybe Google might still extend the date for them. 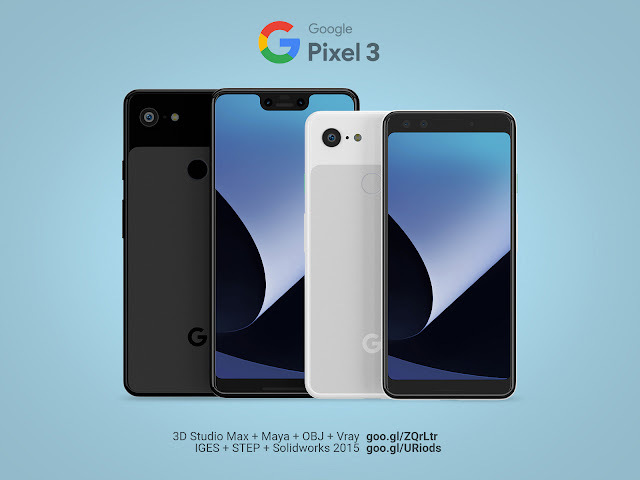 The Pixel 3 and Pixel 3 XL will come in three colour variant; White, Black and Pink. The Pixel 3 will be sold at a starting price of $899 and $869. The Pixel stand, the wireless charger will be sold for $79.